Earn 6 Loyalty Points with this product. ? 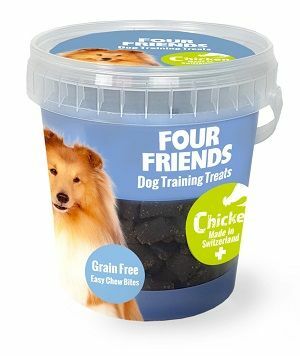 Grain-free and hypoallergenic dog treats in 400g tub. Easy to chew bites, with a healthy composition makes dog training a joy. Offeras a treat between meals, while adapting the amount of daily food required. "Fab team at FourFriends who genuinely care about the health of your pet. On hand to offer tips and advice as well as providing high premium dog food!" If your dog or cat doesn't like FourFriends you can claim a refund if you return at least 80% of the food left in the bag. You will also need to send a copy of your invoice.